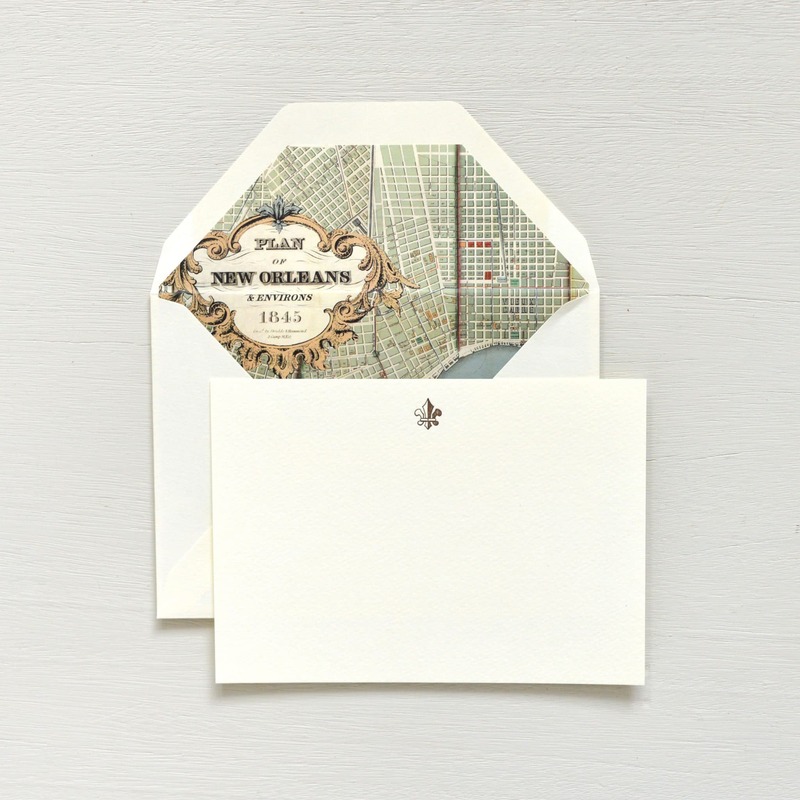 A stately fleur de lis, letterpress printed in brown ink, is paired with New Orleans map envelope liners for an understated set of stationery with local accents. 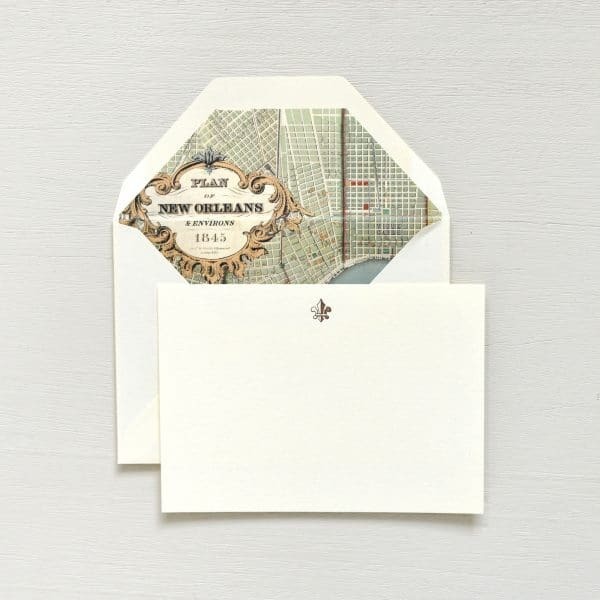 Ten cards and matching lined envelopes. Letterpress printed on an antique press.